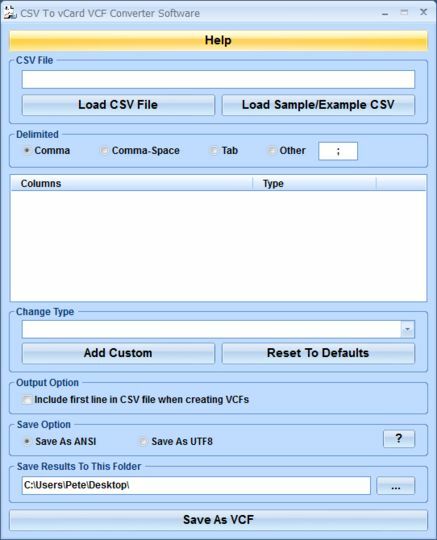 CSV To vCard VCF Converter Software can convert information in CSV sheets to vCard VCF files. The user simply chooses a CSV file and chooses the delimiter option: comma, comma-space, tab, or a user defined character. The results, displayed in the main pane show the columns and type. There is a check box to allow inclusion of the first row. The user then chooses an output folder before saving the results using either ANSI or UTF8 format.